It is surprising how many towns and villages in Cheshire are not served by mains gas leaving homes and businesses to find an alternative fuel source for heating, hot water and cooking. LPG is the best solution to that problem. 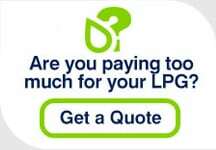 We are quickly building a reputation as the leading independent LPG supplier to homes and businesses in Cheshire with great customer care, reliable LPG supply and the cheapest LPG prices. We have based LPG tankers and drivers in Ellesmere Port as a result of the growth in our customer base in Cheshire and the surrounding areas ensuring our LPG delivery service is efficient and our LPG price is competitive. We deliver and install to all the major Cheshire towns of Chester, Warrington, Widnes, Congleton, Crewe, Ellesmere Port, Runcorn, Macclesfield, Winsford, Northwich and Wilmslow as well as all the villages, hamlets and areas in between. Cheshire seems to be a popular place for LPG metered estates with farmhouses and barns being converted to domestic homes. Cheshire LPG users can find more general information on the following pages: Domestic LPG transfers, Metered LPG transfers and Commercial LPG transfers.